King’s Cross is lucky to be home to Voluntary Action Islington (VAI), part of the national network of Councils for Voluntary Action. 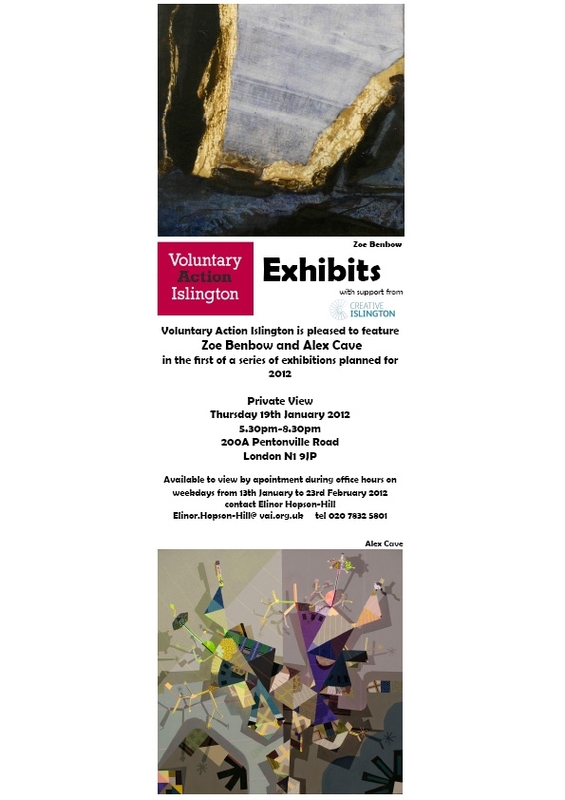 This year VAI is hosting a series of exhibitions at their Pentonville Road office. The first of these features Zoe Benbow and Alex Cave and runs from 13 January to 23 February. Viewing by appointment during office hours, contact Elinor.Hopson-Hill@vai.org.uk. This entry was posted in Arts and Entertainment, Community groups and tagged Art, Charities, Community, Local groups, Pentonville Road, Voluntary Action Islington. Bookmark the permalink.